by Dr. 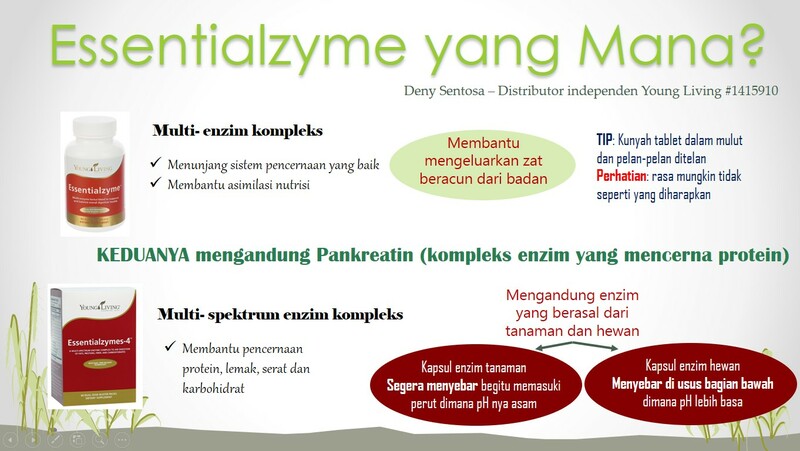 Deny Sentosa, Ph.D | Which essentialzyme? Are you confused when you want to buy something from US and there are 2 almost same names: ESSENTIALZYME? Let me tell you, at first, I was confused which one to buy too! When I read EODR, wow, at least I get the gist of it. so I summarize this for you all. I have to say, both are good! !Essentialzyme-4 helps to break down high fats and excessive starch that are present in our modern diets. Essentialzyme is may also help to age gracefully. p.s. Both are currently available through USA order only.